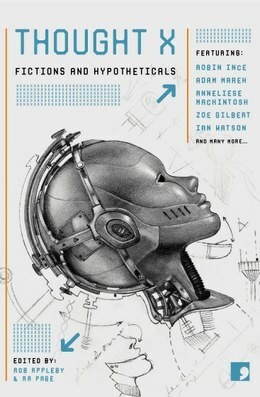 My story 'People Watching' appears in the latest Comma Press Science-into-Fiction anthology, Thought X. This was another exciting opportunity to work with an expert, in this case Professor of Philosophy Roman Frigg. My story is based on 'Galileo's Ship' the beautifully descriptive thought experiment Galileo devised to counter arguments that the Earth doesn't spin. The book also features stories by Sandra Alland, Annie Clarkson, Marie Louise Cookson, Zoe Gilbert, Andy Hedgecock, Robin Ince, Annie Kirby, Anneliese Mackintosh, Adam Marek, Adam Roberts, Sarah Schofield, Ian Watson & Margaret Wilkinson and leading scientists acting as consultants on the stories, and writing scientific afterwords, bringing the theory featured in the stories to life, including Prof. Sarah Bridle (Jodrell Bank), Prof. Jonathan Wolff and Prof. Frank Jackson (the inventor of the 'Mary's Room' thought experiment). The book is available for pre-order now.